It’s not something we think about often — the fact that students across the globe experience school in an entirely different way than those in the United States. Do you know how education’s being conducted in other countries? Take the quiz to find out and get a whole new perspective on school. 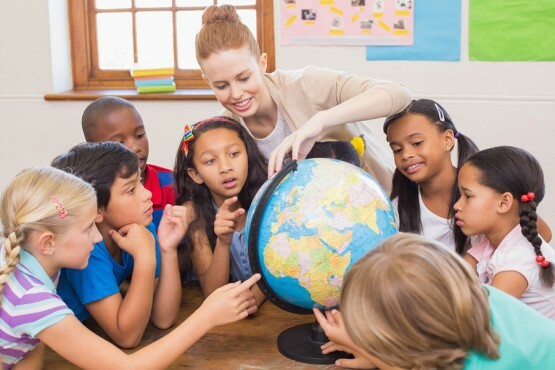 Which country has the highest average class size? The average Chinese classroom surpasses 50 students. That’s more than double the size of U.S. classrooms. Which country, out of those listed below, has the longest school year? With a 200 day school year, Chinese students are subject to the most in-school hours compared to France and the United States. However, they do have two months of summer vacation from July to the end of September. What’s the most educated country in the world? Measured by the percent of people with education that equals a college degree, Russia comes out on top with 53.3 percent, followed by with 56.2 percent, and Japan with 46.6 percent. However, the United States spends more on their education. If you were a girl over the age of eight, you weren’t allowed to go to school. In which country did this happen? Under Afghanistan’s Taliban regime, females weren’t allowed to attend school past the age of 8. Though this is no longer the law, Afghan females once had to receive their education in underground schools, risking their lives and those of their female teachers. Which of these countries has the shortest school year? The U.S. school year is a short one–180 days. Korean students attend class 220 days per year, while in Finland it’s 190. In this country, less than 2 percent of the population has a college degree. China produces 8 million college graduates a year from community colleges and universities. However, this is less than 2 percent of its population. In Saudi Arabia, women don’t attend school. Girls education was started in Saudi Arabia in 1960. Females now make up 57 percent of university graduates. In many countries, students must pass a test before going to college. In India, the entrance examination (or entrance test) is only applied to medicine, engineering and management programs. In Russia, students specialize in one subject. As early as first grade, students begin specializing in one subject or area of study. The subjects are fixed and the student nor the parent has any say-so in which will be studied.